Designed during a lunch break, and cobbled together from found parts that were going to be thrown away otherwise (the office is relocating). 19 mm OD x 7 mm ID x 6 mm THK Bearing – Found loose in a desk. It’s not McMaster 5972K261, but that should fit. M10 nut – x3. Found bagged in a cabinet. Might be McMaster 90725A720. 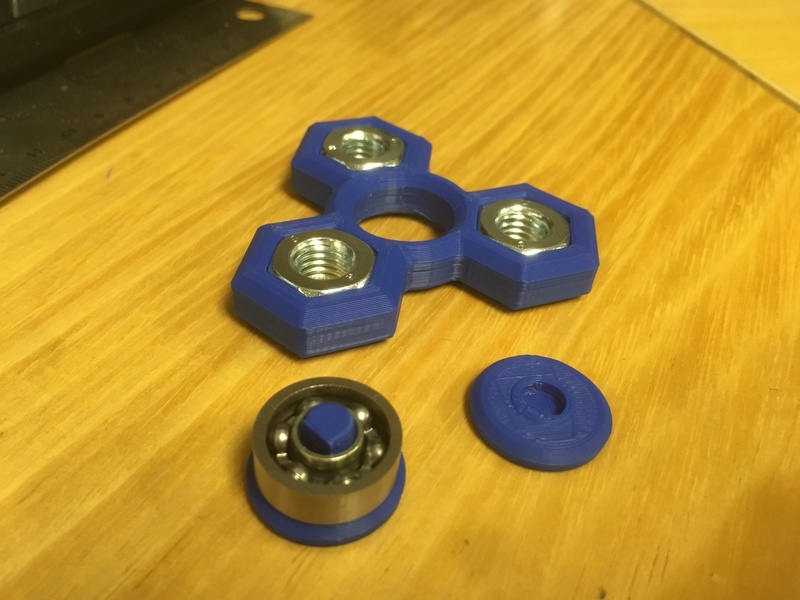 Files can be found on MyMiniFactory*. 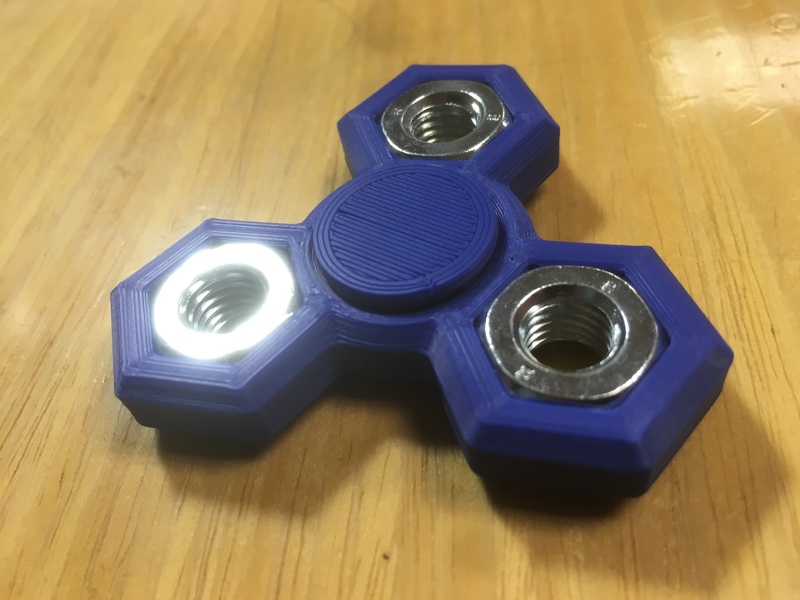 Fidget spinners have saturated the 3D printing realm, so there’s really no need to broadcast this everywhere. 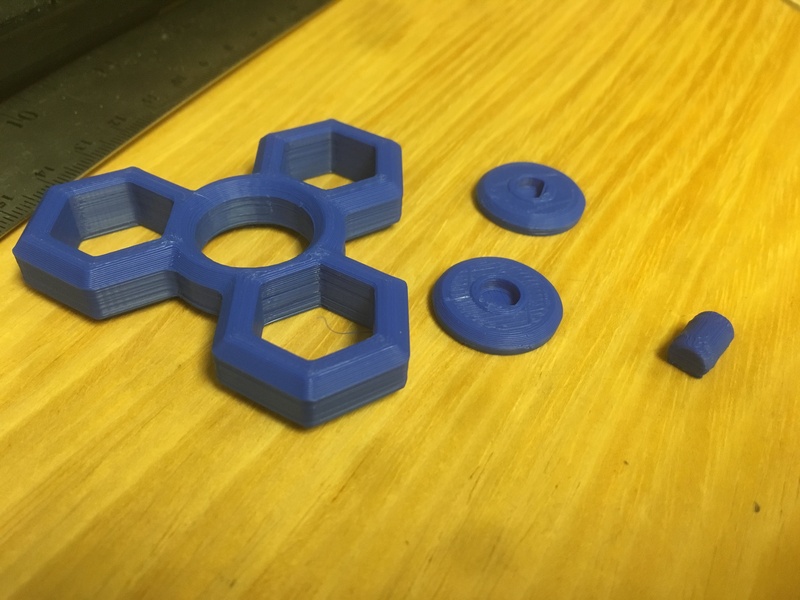 Print one of each part, except FS-Center. You need two of those. 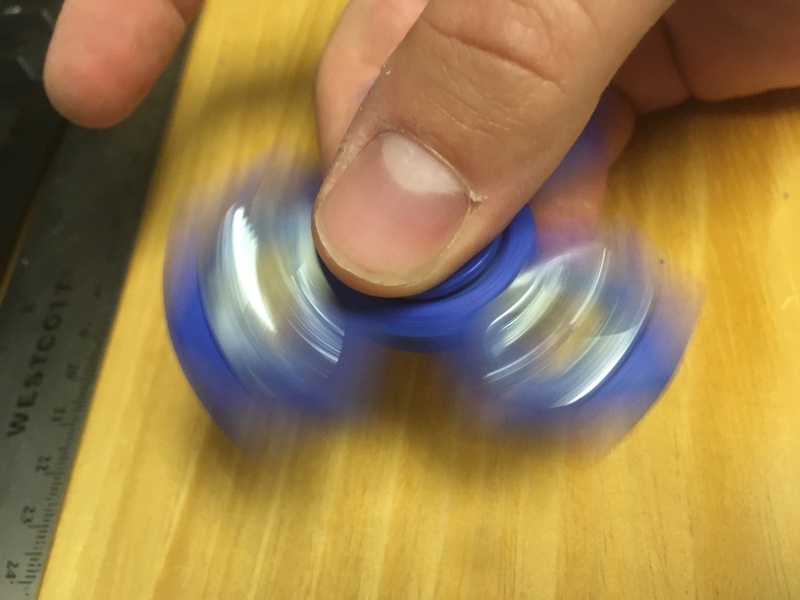 Feeling fidgety? Follow me on twitter @DragonMtnDesign. *Design was tweaked for release. Yours is still one-of-a-kind, P.